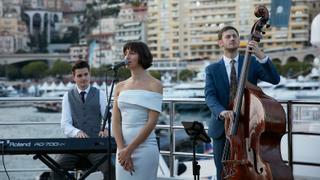 The annual Boat International Media Owners' Club party was held on board 72 metre Tankoa superyacht Solo during the Monaco Yacht Show 2018. 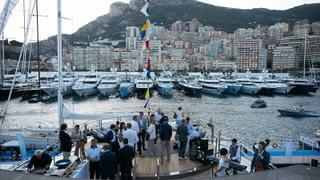 Bringing together a number of superyacht owners, as well as the esteemed judges of the Boat International Design and Innovation Awards and World Superyacht Awards, the evening gave friends and colleagues a chance to catch-up away from the busy show. Boat International Media would like to thanks event sponsors NetJets and Northacre for their support. Live entertainment from Stella Angelika was provided for the event by Blue International Talent and California Audio Technology. 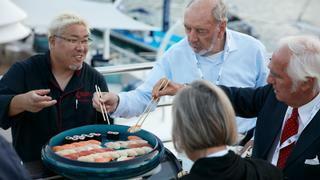 Guests enjoyed freshly prepared Nobu-quality sushi throughout the evening. 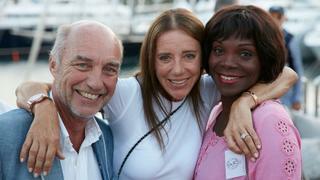 Fransiska Richenbach (centre) with World Superyacht Awards judge Kim Schindelhauer, owner of 33 metre Baltic sailing yacht Win Win, and Aline Matsika. 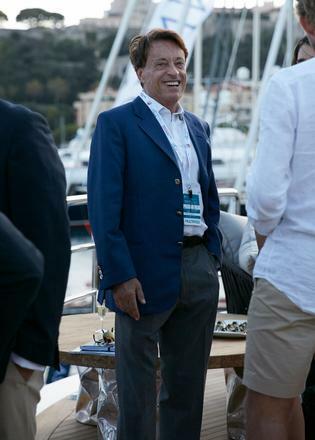 Guido Orsi, president of Tankoa Yachts. 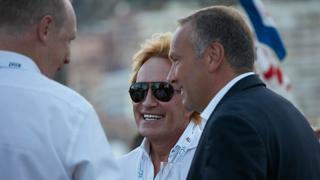 Brian O'Sullivan, owner of 41 metre Horizon Komokwa, with Marco Vogele, owner of 33 metre Vitters sailing yacht Inoui. 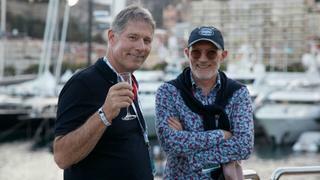 Brian O'Sullivan, owner of 41 metre HorizonKomokwa, with Marco Vogele, owner of 33 metre Vitters sailing yacht Inoui. Alexander Rosa-Alscher, owner of Noga, with Boat International's Stewart Campbell and Toby Moore.